Ever feel like your holiday season doesn’t have enough yarn. Ha ha right! Well bring it into your decor. 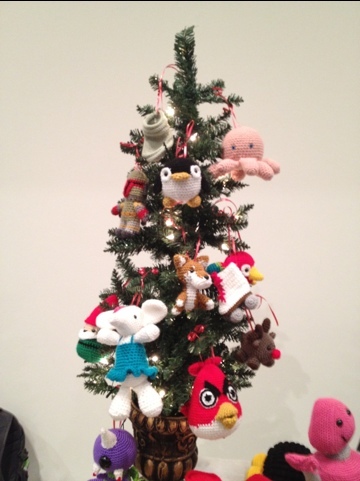 Hang small amigurumi plush on your tree. Use curling ribbon to add a flair.